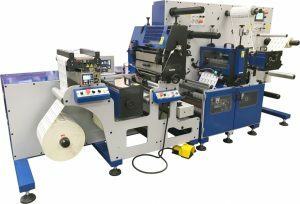 Sanden Machine will be exhibiting in conjunction with Daco Solutions, Colordyne and Inkjet Solutions at the Graphics Canada trade show, booth # 5079 – April 11th / 13th, in Toronto Canada. 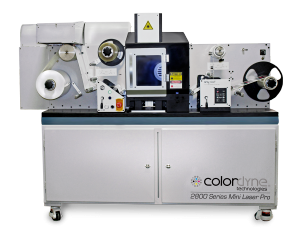 They will be showing the Colordyne 2800 Series Mini Laser Pro running on the booth. This is an industrial “All in one” high-resolution print, laminate and laser die cut system, all in a 3-meter footprint. Along with Mini Laser Pro Sanden Machine will be presenting the full line of finishing and converting equipment from Daco Solutions, including the upgraded DF350SR semi-rotary die cut unit with UV varnish and laminating options with a production speed of 65m/min (213 ft/min) that can be integrated with a number of inkjet print systems. They will also be showing print systems from Inkjet Solutions for Monochrome (black), multicolour, UV and AQ as well as a high build/varnish/ opaque white system.